From H&M x Balmain’s latest fashion show to some of the spring/ summer 2016 hottest trends, everything seems to link our not-so-distant future to the glorious Nineties. One of the latest tributes to this glorious decade comes from Tommy Hilfiger, who totally nailed his attempt to revive his own Nineties masterpieces thanks to a nostalgic capsule collection created in collaboration with My Theresa, one of the world’s leading online-stores for luxury fashion. What’s more, this exciting collection is already available for purchase on MyTheresa.com! The grunge and Heroin-chic decade was an important period both for the American fashion designer and for his eponymous brand: it began growing excessively, becoming one of the world’s leading lifestyle brands. Such success brought even the young Kate Moss to walk proudly on the Hilfiger runways, wearing some of the brand’s most iconic and classic pieces. 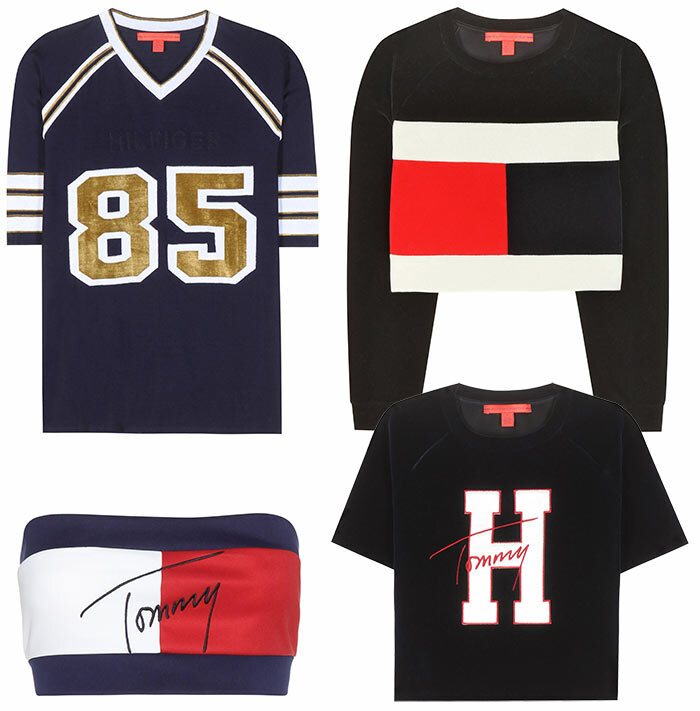 Similar iconic Tommy Hilfiger pieces are now available on My Theresa, as it features a capsule collection featuring Tommy Hilfiger’s trendiest items from the Nineties. Instead of merely reviving them, however, the designer chose to modernize his old classics utilizing new fabrics and modern silhouettes. “The mytheresa.com x Tommy re-edition collection revisits ’90s nostalgia and celebrates iconic styles from our archives. Some of my favorite designs from my early years have been modernized for today with innovative fabrications, luxe fabrics and modern silhouettes,’ recently Tommy Hilfiger said talking about his collection. The nine-piece Tommy Hilfiger x My Theresa collection was officially presented a few days ago, and its promotional video features sisters Suki and Immy Waterhouse, who have teamed up to promote Hilfiger’s capsule collection. Although both the sisters are too young to vividly remember the Nineties, they really got into the ’90s mood with the help of their minimal makeup, tousled blonde hair and toned figures. Their I-just-woke-up-like-this attitude not only meets the collection’s mood, but also proves their career is going to lift off for sure! Anyways, the collection features mostly tops rather than bottoms and celebrates Hilfiger’s trademark colors: red, white and blue. It includes a sporty-chic bandeau top ($130), a Velour bomber ($390), and satin shorts ($230), which totally look like what Sporty Spice would have worn in one of her concerts. On the other hand, velour sweaters and a cropped white top ($260-$190) take the collection to a more grunge-y style, while a football jersey t-shirt ($360) and an embroidered short-sleeved sweater ($190) give the capsule collection a strong Nineties boyish look. On each piece, the famous Tommy Hilfiger flag	celebrates the brand’s long-life success and helps us update (or should we say backdate?) our desperate-for-the-90s wardrobes. If you are looking for a mixture of elegance, sportswear and sensuality, the Tommy Hilfiger x My Theresa collection might be your next winter obsession.